`The importance of Michael Jacobs' book lies in his attempt to convey... Winnicott's profound influence.... Jacobs rightly delights in the creativity and imagination of his subject and illustrates these with numerous quotations and descriptions from Winnicott's writings.... What is conveyed throughout the book is the essence of Winnicott.... [whose] gift was to make psychoanalytic language, method… s and concepts more widely available, accepted and appreciated to a nonpsychoanalytic world' - British Psychological Society Counselling Psychology ReviewOne of the best-known British psychoanalysts, D W Winnicott attracts the interest of counsellors and psychotherapists far beyond the strict psychoanalytic tradition in which he was trained. He coined many phrases that have entered the discourse of therapy, such as `good enough mother', `transitional object' and `facilitating environment'. Winnicott has had a profound impact on research into the mother-baby relationship, and his unorthodox manner and sparkling writing style have attracted enthusiastic acclaim.In this book, Michael Jacobs summarizes Winnicott's life and explains his major theoretical concepts. He also rigorously evaluates his practice as a clinician - for example, the holding and management of deeply regressed patients. While highlighting Winnicott's brilliance and creativity, Jacobs is not afraid to scrutinize his contributions more critically. He also discusses criticisms others have made of Winnicott, notably within the psychoanalytic movement. 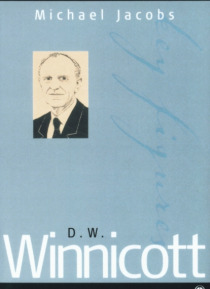 The final chapter assesses the influence of Winnicott's thinking in other countries as well as in Britain.